The 2017 Michelle Smith Lecture Series will include three presentations delivered by a cadre of outstanding authors over a period of three months. A reception and book signing will take place after each lecture. Participation is by subscription to the entire series. This series is supported by an endowment established by a generous grant from Robert H. and Clarice Smith. Benjamin Franklin was, for the great majority of his long life, a loyal British royalist. In 1757, having made his fame and fortune in Philadelphia, he crossed the Atlantic to live as a gentleman in the heaving metropolis of London. He mixed with both the brilliant and the powerful, counting David Hume, Matthew Boulton, Edmund Burke and Erasmus Darwin among his friends; and he had access to successive Prime Ministers and even to King George III himself. However, Benjamin Franklin was also an American colonial representative. Though he long sought to prevent the break with Great Britain, his own actions would finally help cause that very event. In 1775, on the very eve of the American War of Independence, Franklin fled arrest and escaped by sea. By the next year, he had become one of the firmest of American patriots. Long-term relationships, both political and personal would be at an end and he would never return to London. 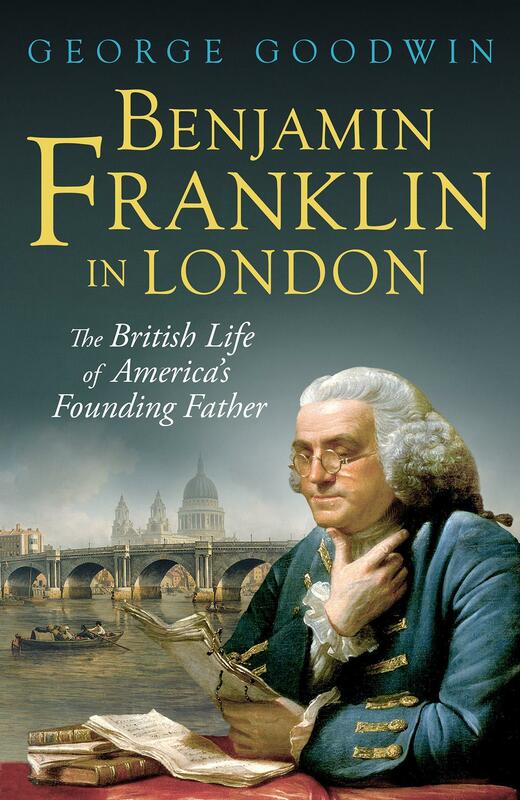 George Goodwin is Honorary Author in Residence at Benjamin Franklin House in London. He is a Fellow of the Royal Historical Society, the Chartered Institute of Marketing and the Royal Society of Arts. He lives in Kew, a stone’s throw from the Royal Botanical Gardens. 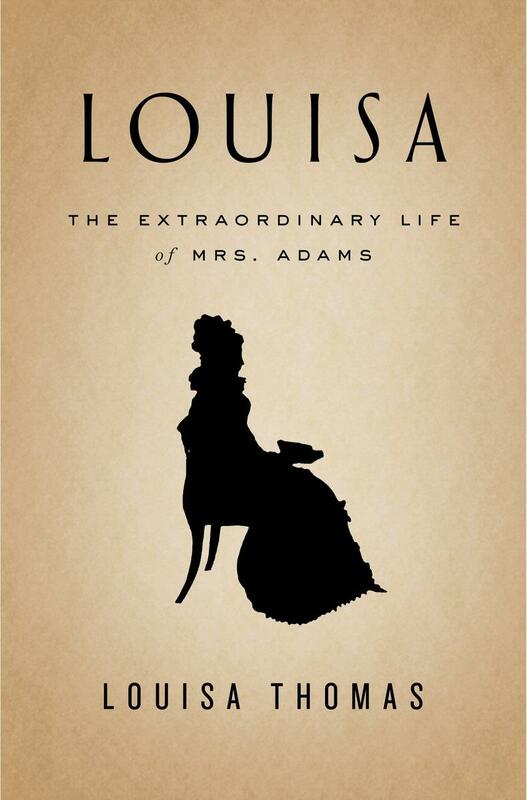 Born in London to an American father and a British mother on the eve of the Revolutionary War, Louisa Catherine Johnson was raised in circumstances very different from the New England upbringing of the future president John Quincy Adams. Their often tempestuous but deeply close marriage lasted half a century. They lived in Prussia, Massachusetts, Washington, Russia, and England; they lived at royal courts, on farms, in cities, and in the White House. Louisa saw more of Europe and America than nearly any other woman of her time. But wherever she lived, she was always pressing her nose against the glass, not quite sure whether she was looking in or out. The other members of the Adams family could take their identity for granted — they were Adamses; they were Americans — but she had to invent her own. This deeply felt biography is an intimate portrait of a remarkable woman, a complicated marriage, and a pivotal historical moment. Louisa Thomas is the author of Conscience: Two Soldiers, Two Pacifists, One Family — a Test of Will and Faith in World War I. She is a former writer for Grantland and a former fellow at the New America Foundation. Her writing has appeared in The New York Times, Vogue, The Wall Street Journal, The New Yorker, The Paris Review, and other places. 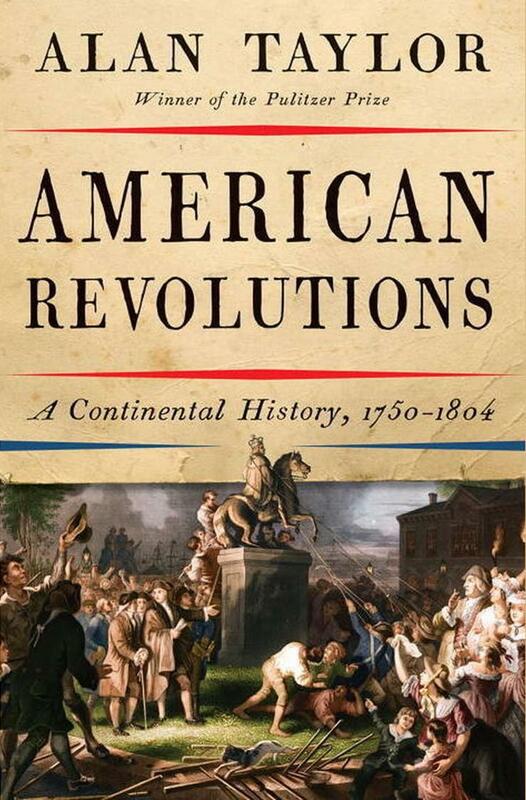 The American Revolution is often portrayed as a high-minded, orderly event whose capstone, the Constitution, provided the ideal framework for a democratic, prosperous nation. Alan Taylor’s Revolution builds like a ground fire overspreading Britain’s colonies, fueled by local conditions, destructive, and hard to quell. Patriot crowds harassed Loyalists and nonpartisans into compliance with their cause and brutal guerrilla violence flared all along the frontier from New York to the Carolinas. Taylor skillfully draws France, Spain, and native powers into a comprehensive narrative that delivers the major battles, generals, and common soldiers with insight and power. With discord smoldering in the 1780s, nationalist leaders sought to restrain unruly state democracies and consolidate power in a Federal Constitution. Advocates of national power ratified the new frame of government, but their opponents prevailed in Jefferson’s vision of a western “empire of liberty” aligned with the long-standing, expansive ambitions of frontier settlers. White settlement and black slavery spread west, setting the stage for a civil war that nearly destroyed the union created by the founders. Alan Taylor is Thomas Jefferson Professor of History at the University of Virginia. He is the author of many acclaimed books in early American history and has twice been awarded the Pulitzer Prize in History. His book, The Internal Enemy: Slavery and War in Virginia, 1772–1832, won the Pulitzer Prize and was a finalist for the National Book Award. Guests should park in Mount Vernon visitor lots and enter Smith Auditorium via the Shops at Mount Vernon complex. Consider dining with us at the Mount Vernon Inn before the lectures. Once you register print your tickets and bring them to the Inn to receive 10% off your entire check or a free appetizer with purchase of two entrees. Call (703) 780-0011 to make a reservation.